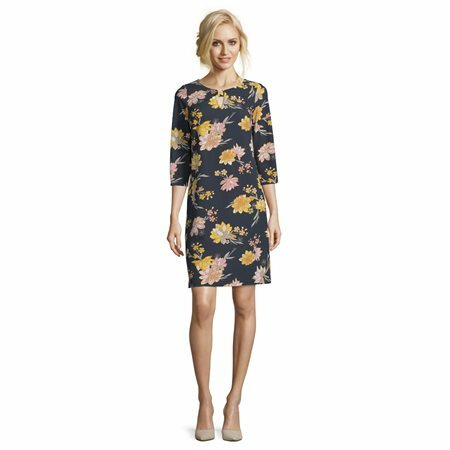 Betty Barclay has created this jersey dress with a gorgeous floral print in rich feminine colours. This contemporary dress has a bow feature neckline with a keyhole finish and three-quarter length sleeves. This is a knee length dress and looks great when paired with both heels and flats.